As you will see, we have maintained our Individual Membership fee at a very affordable price. By purchasing the individual membership for just $125, you will have the opportunity to play our beautifully designed Tom Fazio layout at drastically reduced green fees. For the 2019 season, 18 hole member green fees will be $34 and the 9 hole member green fees will be $17. I'm sure you will see that if you compare our green fees to other premium public golf courses, Sawmill remains a bargain. As always, we will continue to offer our "Early Bird Special", our most popular member benefit, to those that purchase their membership by May 1st. 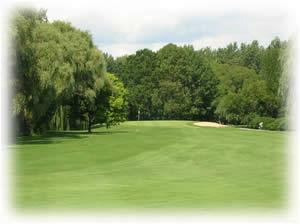 By doing so, you once again will receive a complimentary $34 green fee that can be used anytime during the season. Just as the $125 membership fee has not changed, the guest green fees for those of you who like to entertain your friends or business associates has remained the same. As a member, you will benefit by having the privilege of bringing guests with you during each visit and that guest will receive a reduction in their green fees also. If you have any questions regarding your 2019 membership application, or you would like to purchase golf gift certificates, please feel free to call the pro shop and they will be happy to assist you in any way. If you're thinking of hosting an outing in 2019, please call the Sawmill Creek Golf Club pro shop at 419-433-3789. Once again, thank you for your continued patronage. We look forward to seeing you and your guests all summer long. We feel confident that you will thoroughly enjoy the fun and challenge of our Tom Fazio lakeside masterpiece.